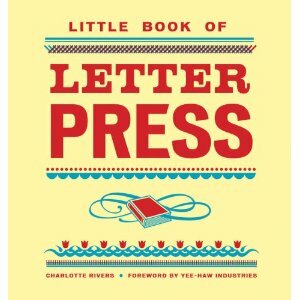 I was so excited and grateful when Tiny Pine Press was to be included in Charlotte Rivers new book “Little Book of Letterpress”. 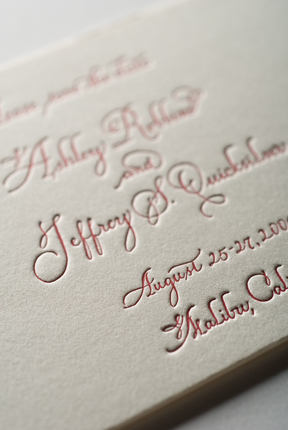 What an amazing honor to be situated next to the most innovative and captivating letterpress designers from all over the world. Yesterday I was poking around a bookstore and I saw it on the shelf. That was the moment when it hit me that this artful social stationery which is usually marking a one time event in someone’s life has made it into a slightly permanent slot in a book which will be used as reference for awhile. You can get a copy for your house at amazon. 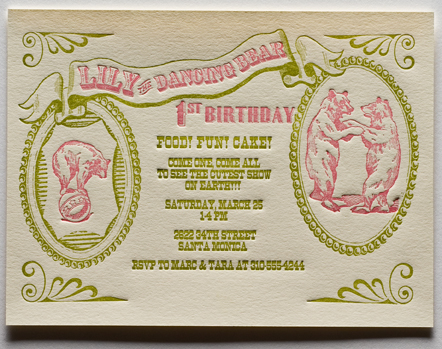 This entry was posted in art, invitations, paper, printing, stationery, wedding invitations and tagged Green wedding invitations, Letterpress, printing on October 14, 2010 by tinypine.